Garry L. Camolli, 74, of Lake Worth, Florida, passed away Saturday, October 8, 2016, after battle with leukemia, AML (Acute myeloid leukemia). 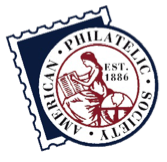 Garry was a long time member of the AFDCS and proprietor and managing partner of Aquila Stamps and Aquila Cachets a large eBay store which he managed until his death. Aquila Stamps on eBay will continue, however Aquila Cachets will not be produced in the future. Garry was born in Lowville, New York on August 31, 1942 to Louis R. and Belva (Williams) Camolli. He is survived by a friend, Peter Lazar of Lake Worth, Florida and one brother, Wayne Camolli of Lake Worth, Florida. Garry graduated from Syracuse University in 1964 and from Drew Theological Seminary, Madison NJ in 1967; receiving a Master of Divinity and became a minister with the then Troy Conference of the United Methodist Church. After retiring from the ministry he moved to Florida where he entered the graphic arts business; retiring from Globe Communications in 2002 as Vice President of Production. As per Garry’s wishes, Rites of Cremation have been accorded and there will be no formal services at this time. The family urges his member friends to donate to the American First Day Cover Society in his memory.